Welcome to the My Favorite Things August Release Countdown Day 5. Every month, MFT releases fabulous products, and this time was no exception!! You can enjoy (and of course, have) lots of gorgeous and fun stuff from this month! Today I am sharing with you my floral cards with so beautiful Scribble Roses Stamp & Overlay Die-namics. My first card is watercoloured flower card. I 1) Stamped the solid flower images on the watercolour panel with Wild Cherry, Lemon Drop, Tickled Pink dye inks, the solid leaves with Sour Apple, Summer Splash, Spearmint dye inks and then brushed them using waterbrush. 2) Stamped the outlined flowers with Safety Orange, Red Hot dye inks. 3) Die cut Scribble Roses Overlay from the white card stock, positioned them over the stamped images and then adhered them. 4) Stamped the sentiment from the Encouraging Words Stamp Set using black pigment ink. 5) Mounted the stamped panel to the white card base, embellished with clear sequins. For my second card, I used Scribble Roses Overlay Die-namics as my main supply. 1) For my own watercolour background, I coloured on the watercolour panel with Red Hot, Bubblegum, Orange Fizz, Lemon Drop dye inks using a wet paintbrush and then added white ink splatters. I then trimmed it with Blueprints 25 Die-namics. 2) I die cut the roses from the white card stock using Scribble Roses Overlay Die-namics. 3) The watercoloured panel dry completely, I positioned the rose die cuts over the panel, added machine stitches. 4) For the sentiment, I stamped it from For the Boys Stamp Set on the black card stock using embossing ink, white heat embossed and then trimmed it. 5) To finish it off, I embellished with enamel dots. 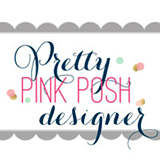 This entry was posted in My Favorite Things and tagged Flower, MFT, Pretty Pink Posh, Release, Watercolor. Bookmark the permalink. Love the way you have used those dies Yoonsun – these are two stunning cards! Your use of watercoloring is flawless as usual…beautiful cards!! Both cards are great but really love that first one it is so pretty! So creative…this new release is jaw dropping!!! So much talent represented. So, so pretty! The colors are gorgeous and the tiny splatters are perfect. Beautiful Cards…love your use of the scribble rose overlays. Verrry Pretty! These just couldn’t be any prettier. Adore the stitching on the second card! Lovely cards. Your coloring is superb on both cards. The white overlay really pops against that colorful background. Thanks for sharing. Beautiful designs. Love the background and repetition of roses. Great cards. Love the new release. Thanks for sharing! What lovely cards Yoonsun. I love the colours you used on them, they are really nice! OMG, love both of these so much!!! Must own these stamps and dies! Super cute cards!! You showcased this new set so beautifully! MFT is lucky to have you on their design team!! So pretty! Those colors are great. Love how you used the dies and stamps! I LOVE the new Roses Overlay! all your cards are amazing and so beautiful!! !